I've got a full run of Captain Britain's I bought at the time. Awful, brilliant comic! I'd love to get my hands on a run of them magazines. Are they prohibitively expensive to get because of collectability or are there cheap reissues of them? I don't think they are particularly expensive and they're quite often in shops if they have a decent back catalogue. ACE comics in Colchester is excellent. The DC Showcase and Marvel Essentials reprints have covered the more mainstream titles like House Of Mystery, House of Secrets, Unknown Soldier, Haunted Tank, Enemy Ace, etc large paperback b & w reprints. e-bay tends to have individual titles for a couple of quid each. I bought about thirty copies of Sgt Fury a year ago for a fiver. I was collecting Horror Comics before I even owned a record, I've got hundreds and hundreds, including all the Charlton titles like 'Haunted Love'. I remember House of Mystery and tried re-reading it a little while ago via the DC Showcase reprints but was left a little underwhelmed. They just don't really excite in black and white. Also comic related, I pulled out all my old EC reprints from my parents a couple of weeks ago and have absolutely loved reading through those. You're right. I also miss the ads. That said, I always thought 'House of Mystery' wasn't a patch on some of the other titles - nowhere near weird enough. I'm still reading through those ECs. The Shock Suspenstories comics are particularly good, especially the stories dealing with racism and police brutality & corruption which are eye opening for a comic book from the 1950s. Harvey Kurtzmans art also seems to be way ahead of its time. I'm also slowly reading Kolyma Tales by Varlam Shalamov which deserves a mention. I'm only slowly reading it because it's not exactly cheery stuff. Some of the stories haunt me for days. 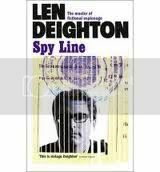 After picking up a vintage paperback copy of 'The Ipcress File' from my local Oxfam and thoroughly enjoying it, I've beem getting engrossed in Len Deighton's trilogy Spy Hook, Spy Line and Spy Sinker. Not a genre I'm used to reading I'm really into these - picking out details of cold war Berlin, and an interesting use of chronology. Any of these books can be read individually and the final, Sinker fills in gaps but seen from a different point of view. Page turning! 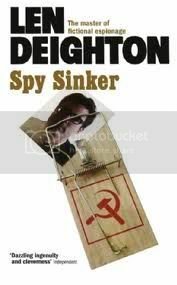 I got some early Deighton a few years ago and was surprised by how good they are. Anything up to about 1970 is great, although I reckon he spread it a bit thin thereafter. This is a lot of fun, too. 'London Dossier' is excellent - don't forget the slang chapter where they conclude that Cockney and Criminal slang is good old fashioned fun, but Gay slang is rather unpleasant. Great concept. I'd love to come across a big box of 70s horror / mystery comics - I find comic shops a bit intimidating - no idea where to begin! Just read a good anthology of Horror comics - http://www.johncoulthart.com/feuille...horror-comics/ that's got me wanting to read more. Chosen because I wanted a fast paced thriller to propel me back into reading. I got more than that: a weird, neatly written ride through both a blind man's mind and the Kafkaesque city he finds himself. I was gripped till the end, where he breaks through the veil in the 'Highlands' of the country. Recommended and on the look out for more by this writer, who I hadn't come across before - Rupert Thomson anyone? "Mao's Great Famine"... Feels like a history A level. Need to keep notes. His first novel, Dreams of Leaving, is one of the best novels of 80s England - a rewriting of the Moses story set in a fever dream London; Book of Revelation is a cool euro-neuro thriller set in the seven circles of Amsterdam and his last novel, Death of a Murderer, is a superbly creepy meditation on evil featuring the ghost of Myra Hindley. All times are GMT. This page was generated at 09:37 PM.